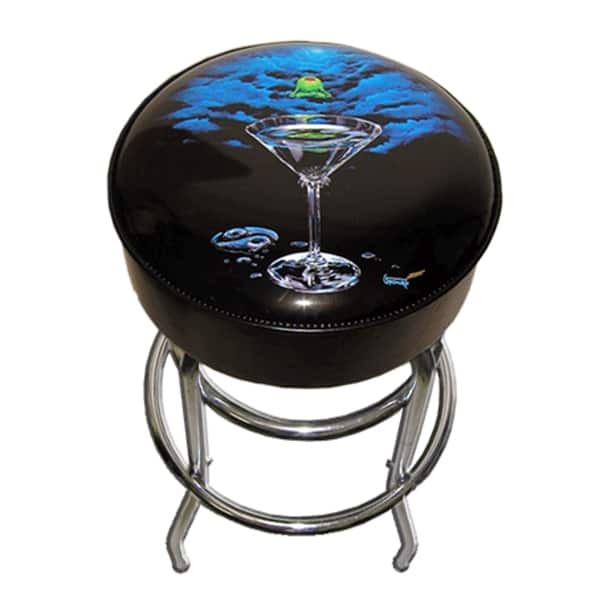 This Bar Stool features funny artwork from Michael Godard, the Rock Star of the Art World. One of Godard's hilarious and notorious olive characters sits like Buddha, hovering over a large martini glass. Michael Godard's artwork has been showcased by private owners, casinos and hotels, and has been featured on television programs on HBO and A&E. So when it comes to bar stools for your game room or basement it doesn't get any better than Michael Godard.